Join Oregon experts Judy Jewell and W. C. McRae for an unforgettable experience. With their unique perspective and advice you can trust, Moon Oregon has everything you need to know to have a more personal and memorable experience. 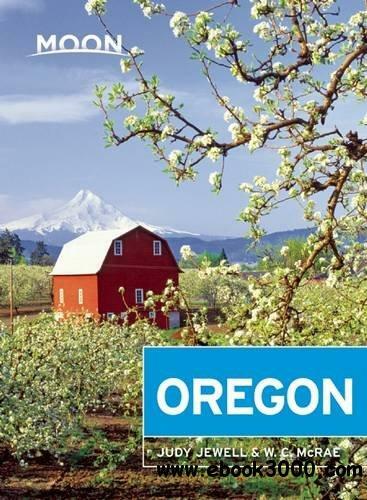 Moon Oregon shows you what you need to know to plan the perfect trip for you. Whether you are looking to fill your adventure with night skiing, waterfall hikes, and sand-dune treks or experience a local's perspective on Portland's laid-back lifestyle, Moon Oregon has something for everyone. Along with trip ideas like ?Day Trips from Portland" and ?Touring the Taps", Jewell and McRae share their advice on local craft breweries, eclectic art shows, and the best places to bike, hike, and raft, as well as suggestions for wine-tasting in the beautiful Willamette Valley. Staying in the area? Check out Moon Coastal Oregon and Moon Washington.